Qui and I have an exciting Saturday planned. I'm heading up to Santa Cruz to go to her house, then to Hart's Fabric, then to Oakland for the Colette Patterns Fall 2012 party. Before the party Qui and I thought it would be fun to meet up at the cafe next door, Actual Cafe, for a drink or bit of food around 4:00 or so. Would any of you be interested in coming? I'd love to meet you! Eep! How fun! You can bet if I'm ever in your neck of the woods I'll meet up with you and Qui! Do you have plans of coming to CA?!? I would love to see you if you ever do! Count me in! I run a local meetup, so maybe we I can advertise there, too! Awesome!! This weekend will be so fun! 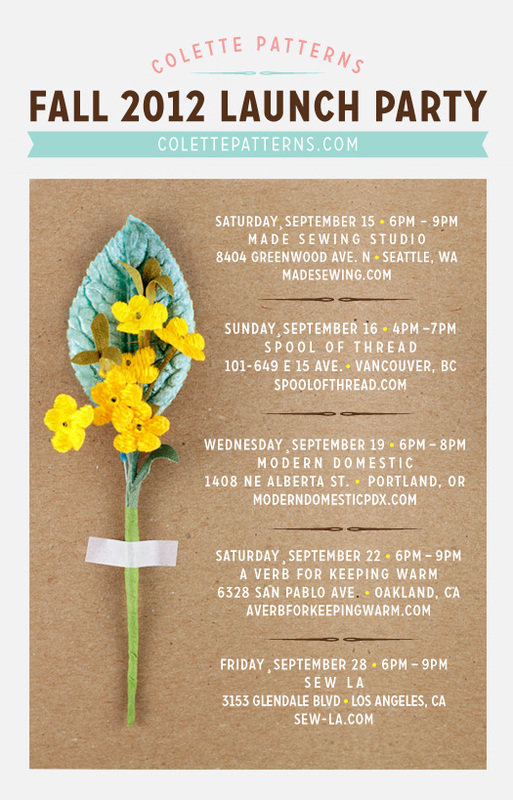 I was planning on going to the Colette Patterns party and I would love to meet up with you guys! Please come and hang out! I'll be there! Looking forward to meeting you ladies. Aww man! I wanna move!!! You better take a million photos!!! I'd be there in a heart beat if I could. why do you have to live on the west coast. I'm so jealous of your meet ups. Take lots and lots of photos and blog about your adventures! Thank you! I was so excited to meet you in person. 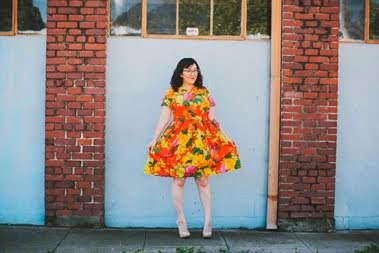 I see many fabulous sewing-ness in our future, and I'm glad you made it up to the bay!